Mount Ararat (39°42′N, 44°17′E), satellite image – a stratovolcano, 5,137 metres (16,854 ft) above sea level, prominence 3,611 metres (11,847 ft), believed to have erupted within the last 10,000 years. The main peak is at the centre of the image. Searches for Noah's Ark have been made from at least the time of Eusebius (c.275–339) to the present day. Despite many expeditions, no physical proof of the ark has been reliably identified. Many of the supposed findings and methods are regarded as pseudoscience and pseudoarchaeology by geologists and archaeologists. An interesting phenomenon that has arisen within twentieth-century conservative American evangelism – the widespread conviction that the ancient Ark of Noah is embedded in ice high atop Mount Ararat, waiting to be found. It is a story that has combined earnest faith with the lure of adventure, questionable evidence with startling claims. The hunt for the ark, like evangelism itself, is a complex blend of the rational and the supernatural, the modern and the premodern. While it acknowledges a debt to pure faith in a literal reading of the Scriptures and centuries of legend, the conviction that the Ark literally lies on Ararat is a recent one, backed by a largely twentieth-century canon of evidence that includes stories of shadowy eyewitnesses, tales of mysterious missing photographs, rumors of atheistic conspiracy, and pieces of questionable "ark wood" from the mountain. (...) Moreover, it skirts the domain of pop pseudoscience and the paranormal, making the attempt to find the ark the evangelical equivalent of the search for Bigfoot or the Loch Ness monster. In all these ways, it reveals much about evangelicals' distrust of mainstream science and the motivations and modus operandi of the scientific elite. I firmly believe that the governments of Turkey, Russia, and the United States know exactly where the ark sits. They suppress the information, but (...) God is in charge. The structure will be revealed in its time. We climb the mountain and search, hoping it is, in fact, God's time as we climb. Use us, O Lord, is our prayer. According to Genesis 8:4, the Ark came to rest "on the mountains of Ararat." Early commentators such as Josephus, and authorities quoted by him, Berossus, Hieronymus the Egyptian, Mnaseas, and Nicolaus of Damascus, record the tradition that these "mountains of Ararat" are to be found in the region then known as Armenia, roughly corresponding to Eastern Anatolia. Syrian tradition of the early centuries BC had a tradition of the ark landing at Mount Judi, where according to Josephus the remains of the ark were still shown in the 1st century BC. The location of the "Place of Descent" (αποβατηριον, i.e., Nakhchivan) described by Josephus was some 100 km to the southeast of the peak now known as Mount Ararat, in what is today Iraqi Kurdistan. According to Jewish Rabbinic tradition, the Ark was looted in antiquity, the remains being used for idol worship, as related in the Talmud Tractate Sanhedrin by Sennacherib circa 705 – 681 BC, and as related in the Midrash anthology Yalkut Shimoni by Haman circa 486–465 BC. In the heart of the Armenian mountain range, the mountain's peak is shaped like a cube (or cup), on which Noah's ark is said to have rested, whence it is called the Mountain of Noah's Ark. It [the mountain] is so broad and long that it takes more than two days to go around it. On the summit the snow lies so deep all the year round that no one can ever climb it; this snow never entirely melts, but new snow is for ever falling on the old, so that the level rises. Sir Walter Raleigh, writing c. 1616, made a laborious argument taking up several whole chapters of his History of the World, that the term "Mountains of Ararat" originally encompassed all the adjoining and taller ranges of Asia, and that Noah's Ark could only have landed in the Orient – especially since Armenia is not technically east of the plain of Shinar (or Mesopotamia), but more northwest. In 1829, Dr. Friedrich Parrot, who had made an ascent of Greater Ararat, wrote in his Journey to Ararat that "all the Armenians are firmly persuaded that Noah's Ark remains to this very day on the top of Ararat, and that, in order to preserve it, no human being is allowed to approach it." In 1876, James Bryce, historian, statesman, diplomat, explorer, and Professor of Civil Law at Oxford, climbed above the tree line and found a slab of hand-hewn timber, four feet long and five inches thick, which he identified as being from the Ark. In 1883, the British Prophetic Messenger and others reported that Turkish commissioners investigating avalanches had seen the Ark. Searches since the mid-20th century have been largely supported by evangelical, millenarian churches along with local farmers and sustained by ongoing popular interest, faith-based magazines, lecture tours, videos and occasional television specials. In 1949, Aaron J. Smith, dean of the People's Bible College in Greensboro, NC, led an unsuccessful expedition to locate the ark. Former astronaut James Irwin led two expeditions to Ararat in the 1980s, was kidnapped once, but found no tangible evidence of the Ark. "I've done all I possibly can," he said, "but the Ark continues to elude us." In the 1980s and 1990s, the Durupınar site was heavily promoted by Ron Wyatt. It receives a steady stream of visitors and according to the local authorities a nearby mountain is called "Mount Cudi" (or Judi), making it one of about five Mount Judis in the land of Kurdistan. Geologists have identified the Durupınar site as a natural formation, but Wyatt's Ark Discovery Institute continues to champion its claims. 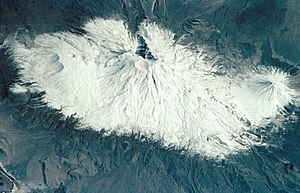 In 2004, Honolulu-based businessman Daniel McGivern announced he would finance a $900,000 expedition to the peak of Greater Ararat in July of that year to investigate the "Ararat anomaly" – he had previously paid for commercial satellite images of the site. After much initial fanfare, he was refused permission by the Turkish authorities, as the summit is inside a restricted military zone. The expedition was subsequently labelled a "stunt" by National Geographic News, which pointed out that the expedition leader, a Turkish academic named Ahmet Ali Arslan, had previously been accused of faking evidence of the Ark for a CBS documentary. In June 2006, Bob Cornuke of the Bible Archeology Search and Exploration Institute (or BASE Institute) took a team of 14 American "business, law, and ministry leaders" to Iran to visit a site in the Alborz Mountains, purported to be a possible resting place of the Ark. The team claimed to have visited an "object" 13,000 feet above sea level, which had the appearance of blackened petrified wooden beams, and was "about the size of a small aircraft carrier" [400 ft long (120 m)], and supposedly consistent with the dimensions provided in Genesis of 300 cubits by 50 cubits. BASE Institute identifies this site as the site found by Ed Davis. The team also claimed to have found fossilised sea creatures inside the petrified wood, and in the immediate vicinity of the site. No one outside the expedition has offered independent confirmation, and apart from a few purported beams, no photographic images of this supposed Ark in its entirety have been made available (though short video segments have been made available). 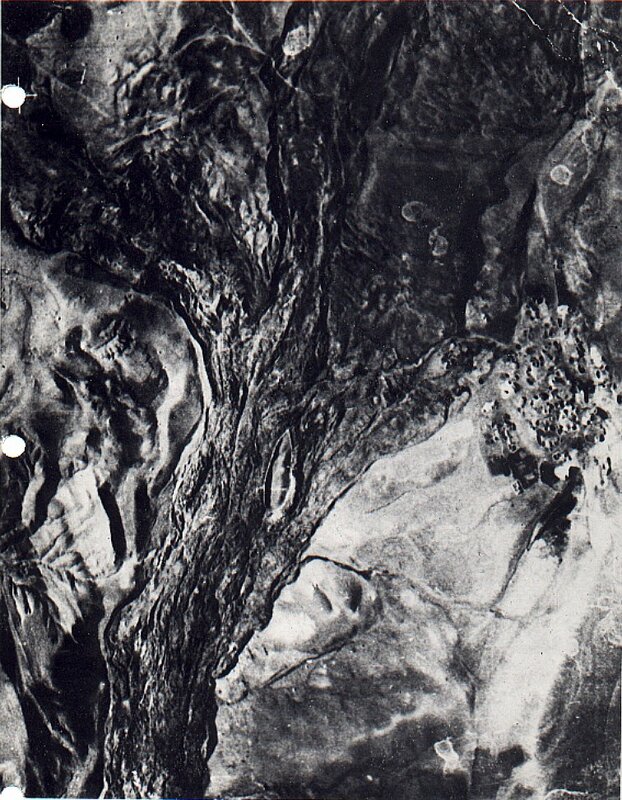 The team's consensus on the "object" is not absolute; Reg Lyle, another expedition member, described the find as appearing to be "a basalt dike". BASE states that it does not claim to have found the Ark, only a "candidate". In 2007, a joint Turkish-Hong Kong expedition including members of Noah's Ark Ministries International (NAMI) claimed to have found an unusual cave with fossilized wooden walls on Mount Ararat, well above the vegetation line. In 2010, NAMI released videos of their discovery of the wood structures. Members of Noah's Ark Ministries International reported carbon dating suggests the wood is approximately 4,800 years old. It is unlikely that there was any human settlement at the site at altitude of 4,000 meters. Randall Price, a partner with Noah's Ark Ministries International from early 2008 to the summer of 2008, stated that the discovery was probably the result of a hoax, perpetrated by ten Kurdish workers hired by the Turkish guide used by the Chinese, who planted large wood beams taken from an old structure near the Black Sea at the cave site. In a response to Price, Noah’s Ark Ministries International stated that they had terminated co-operation with Price in early October 2008, and that he had never been in the location of the wooden structure they identified, and regretted his absence in their find. On their website they say they asked for the opinion of Mr. Muhsin Bulut, the Director of Cultural Ministries, Agri Province. The web site says that his response was that secretly transporting such an amount of timber to the strictly monitored area and planting a large wood structure at an altitude of 4,000 metres would have been impossible. At the end of April 2010, it was reported that Turkey's culture minister ordered a probe into how NAMI brought its pieces of wood samples from Turkey to China. A Scottish explorer investigating the NAMI claim was reported missing, on 14 October 2010, from an expedition on Ararat. His last camp site and personal effects were subsequently located but the circumstances remain unresolved. According to one story, Nicholas II of Russia sent an expedition to Mount Ararat in 1916–1918 to investigate the Ark. The fact that Nicholas abdicated during the February Revolution at the beginning of March 1917 (Gregorian calendar) makes the story unlikely. A few sources put the date of the expedition at 1916, ("the Russian imperial air force ... is supposed to have sent 150 men up Mount Ararat in 1916 to explore a large object said to be as long as a city block", reads one). However, this expedition was launched just as the Communist Revolution broke out in Russia. Allegedly, the reports were turned in to Leon Trotsky, who destroyed them. In 1952, Pastor Harold Williams wrote a story he claimed had been told to him by Haji Yearam, an Armenian Seventh-Day Adventist who had moved to the United States. He let Williams take down his account four years before his death in 1920. According to the story, Yearam as a boy was with his father when they guided three English scientists to the ark in 1856. Upon finding the ark sticking out of a glacier near the summit of Ararat, these scientists were however dumbfounded and angry, since they were "vile men who did not believe in the Bible". 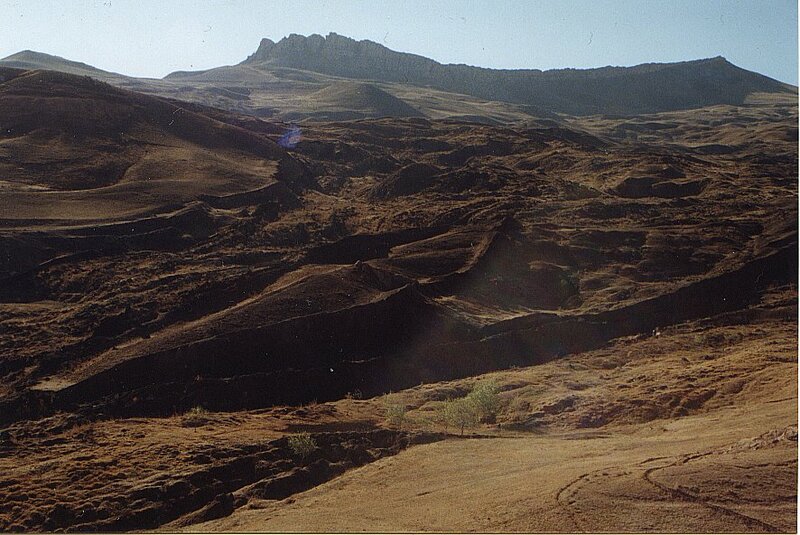 Having come to Ararat to disprove the Scriptures, they now tried to destroy the ark, but were not able to. They then took an oath to keep the discovery a secret and murder anyone who revealed it. About 1918, Williams claimed he saw a newspaper article giving a scientist's deathbed confession, which independently corroborated Yearam's story. Harold Williams said he preserved both Yearam's account and the newspaper clipping until 1940, when both were lost in a fire, leaving the story hearsay on Williams's part. Despite a diligent search, the ca. 1918 newspaper article with the scientist's "confession" has never been located. The online archive of the old USENET newsgroup talk.origins makes note of the seeming vilification of unbelievers and regards it as suggestive of "religious propaganda". An academic study notes "the melodrama of Haji Yearam's tale". In 1955, French explorer Fernand Navarra reportedly found a 5-foot wooden beam on Mount Ararat some 40 feet under the Parrot Glacier on the northwest slope and well above the treeline. The Forestry Institute of Research and Experiments of the Ministry of Agriculture in Spain certified the wood to be about 5,000 years old – a claim that is disputed by radio carbon dating, as two labs have dated the 1969 samples, one at 650 C.E. ± 50 years, the other at 630 C.E. ± 95 years. Navarra's guide later revealed the French explorer bought the beam from a nearby village and carried it up the mountain. Around 1960, helicopter pilot George Greene claimed to have observed the Ark on Ararat in 1953. It was lying on the side of a vertical rock cliff at the 13,000 to 14,000 ft. level. He photographed it from the air and tried to mount an expedition, but his photographs failed to convince any investors. Greene was found drowned in a swimming pool in British Guiana in 1962, and his photographs have not been seen since. In The Ararat Report, February 1990, Ark investigator Bill Crouse listed various "phantom arks" on the mountain, including a formation that "does look like the prow of a huge ship. In reality, it is a huge chunk of basalt. We believe this is also the 'ark' seen by George Greene in 1953." In 1970, an Armenian, Georgie Hagopian, claimed to have visited the Ark twice around 1908/1910 (1902 in another version, and 1906 according to a segment in the TV series Unsolved Mysteries) with his uncle. Hagopian claimed that he had climbed up onto the Ark and walked along its roof and that some of his young friends had also seen it. The online archive of talk.origins notes that "[t]he apparent ease of getting to the ark conflicts with the accounts of other explorers." Ed Davis, a US army sergeant based at Hamadan in Iran during World War II, reported that he had climbed Mt. Ararat with his driver's family in 1943. After three days' climbing, the group camped 100 feet above the Ark and was able to look down into it but not to approach closely. According to Davis's description, it had broken into two pieces, which had been pushed some distance apart by glaciers. Its description roughly matched Hagopian's, judging by Elfred Lee's paintings. Lee also interviewed Ed Davis and created a painting based on Davis's descriptions. The structures in the paintings appear to match. In 1993, CBS aired a television special entitled The Incredible Discovery of Noah's Ark, which contained a section devoted to the claims of George Jammal, who showed what he called "sacred wood from the ark." Jammal's story of a dramatic mountain expedition which took the life of "his Polish friend Vladimir" was actually a deliberate hoax, and Jammal – who was really an actor – later revealed that his "sacred wood" was wood taken from railroad tracks in Long Beach, California and hardened by cooking with various sauces in an oven. ^ a b Mayell, Hillary (27 April 2004). "Noah's Ark Found? Turkey Expedition Planned for Summer". National Geographic Society. Retrieved 29 April 2010. ^ Fagan, Brian M.; Beck, Charlotte (1996). The Oxford Companion to Archaeology. Oxford: Oxford University Press. ISBN 0195076184. Retrieved 17 January 2014. ^ Cline, Eric H. (2009). Biblical Archaeology: A Very Short Introduction. Oxford: Oxford University Press. ISBN 0199741077. Retrieved 17 January 2014. ^ Feder, Kenneth L. (2010). Encyclopedia of Dubious Archaeology: From Atlantis to the Walam Olum. Santa Barbara, California: ABC-CLIO. ISBN 031337919X. Retrieved 17 January 2014. ^ Eskridge, Larry (1999). "A Sign for an Unbelieving Age: Evangelicals and the Search for Noah's Ark". In David N. Livingstone (ed.). Evangelicals and Science in Historical Perspective. D. G. Hart, Mark A. Noll. Oxford UP. ISBN 9780195353969. ^ Bright, Richard Carl (2001). "Do the Locals Know?". Quest for Discovery: One Man's Epic Search for Noah's Ark. New Leaf. ISBN 9781614582045. ^ Lovgren, Stefan (20 September 2004). "Noah's Ark Quest Dead in Water -- Was It a Stunt?". National Geographic. Retrieved 4 March 2017. ^ a b "Noah's Ark? For Real". 16 June 2006. Archived from the original on 3 July 2006. ^ "Noah's Ark: The Ark of Noah in Iran?". BASE. Retrieved 4 March 2017. ^ Kelly, Cathal (27 April 2010). "Noah's Ark found, researchers claim". Toronto Star. thestar.com. Retrieved 19 December 2010. ^ Tigay, Chanan (29 April 2010). "Ex-Colleague: Expedition Faked Noah's Ark Find". AOL News. AOL. Archived from the original on 2 May 2010. Retrieved 29 April 2010. ^ Weather hits search for Noah's Ark man Donald Mackenzie, BBC News, accessed 24 September 2013. ^ a b Ancient High Technology – Evidence of Noah's Flood? ^ Jammal, George. "Hoaxing The Hoaxers: or, The Incredible (phony) Discovery of Noah's Ark". Atheist Alliance International. Archived from the original on 11 September 2007. Retrieved 9 October 2012. Unsolved Mysteries (NBC), 29 April 1992.